Since the first “autonomous” car emerged in the 1920s, its role has changed and repeated itself in the course of history. Autonomous cars were seen as a solution to a social problem, response to a social need (“family togetherness”), their concept (autonomous driving) was embodied in other technologies (guide wires) and was an essential part of wider social changes (magic highway). 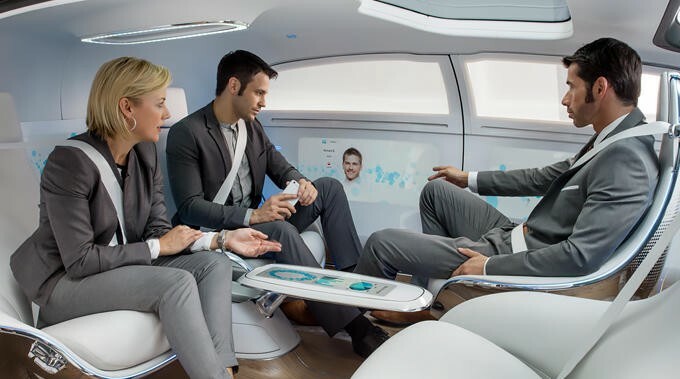 However, after the initial euphoria, autonomous driving went from being a concept to technological features embodied in driving assistants, followed by an increasing technologization of the car. Although they were in general considered enablers of a better future they were depicted as killing machines and enablers of a totalitarian society. Today they have a mostly positive perception and are associated with multifold functions such as being a pale or mobile office. It was in the 1920s when increased traffic fatalities (as a consequence of mass motorization) started receiving increasing societal attention. Since the human driver was considered fatality cause number one, removing the driver from the equation seemed like the best solution (infrastructure and car design as causes for fatalities entered the equation only at a later stage). This was when the first autonomous car — in the form of a remotely controlled driverless automobile (see image below) — emerged as a response to that social problem. 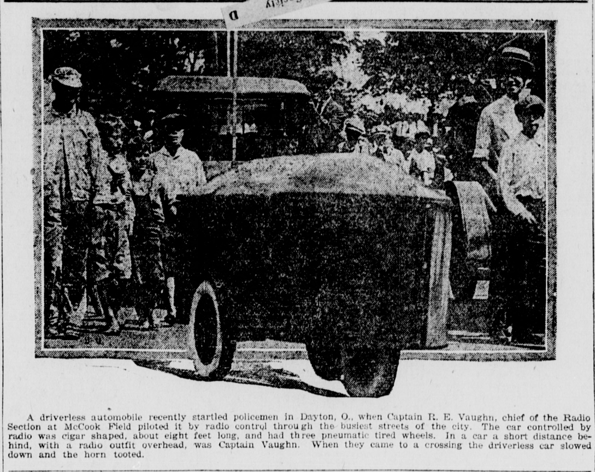 On the one side, this first car was perceived as a “fantastical object” by society as depicted by the media calling it a phantom auto, robot car or magic car. This positive attitude stemmed, besides its potential for removing the above-mentioned accidents, from it enabling transportation to previously excluded members of society such as blind people. On the other side, this driverless car was also considered something dangerous as depicted by literature describing scenarios where autonomous cars were hunting pedestrians and killing people . As shown below, autonomous cars have a similar perception today although cars as killing machines are not that present. There is some evidence pointing in that direction though. Consider, for example, the case where two hackers found an exploit inside a (to the internet) connected Jeep that enabled them, amongst other things, to remotely accelerate and turn off the car (see video below). Imagine based on that “a wirelessly controlled automotive botnet encompassing hundreds of thousands of vehicles” as quoted in the article above. Today, we have similar technologies on a smaller scale and for less altruistic reasons. Mercedes, for example, haS a feature called Remote Park-Pilot which allows the driver to park a car using the key as a remote (check the video below). 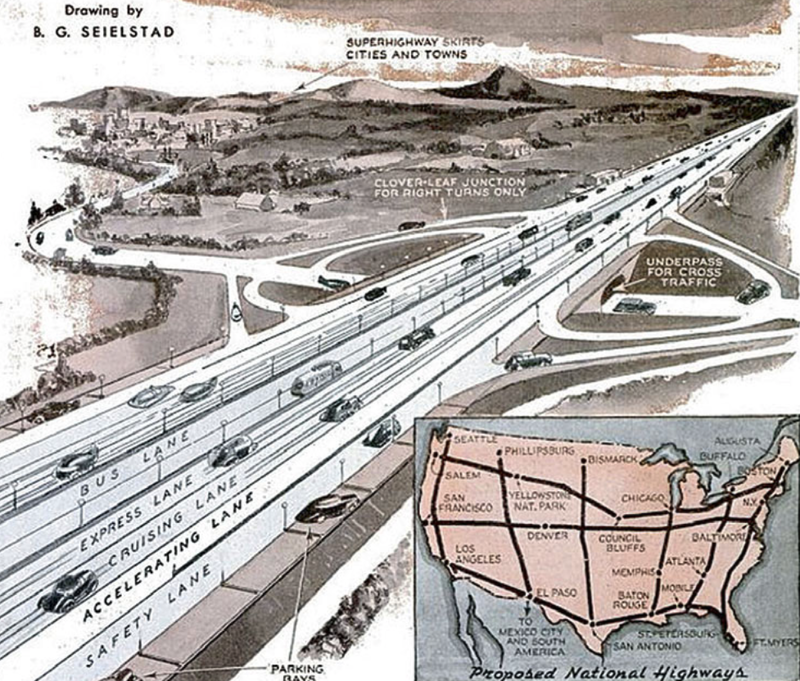 In the following years (the 1930s), autonomous driving was still of interest but not in the form of cars but autonomous highways. The autonomous driving concept that followed autonomous cars were guide wires. These wires are electromagnetic wires built into roads and control speed and direction of the cars driving on them. The image below shows a highway based on the concept of these guide wires. 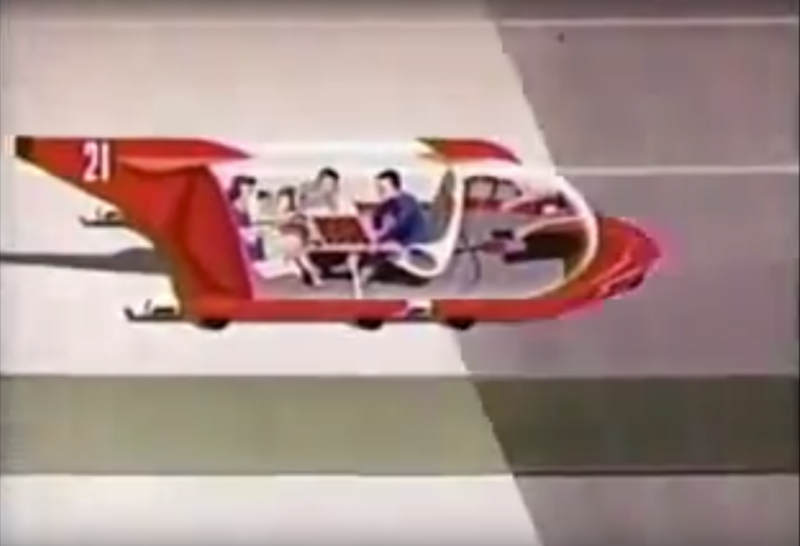 Although we have with The Boring Company’s tunnels a similar technology now (underground tunnels which transport cars on electric skates; see video below), automated roads for individual transportation are not of great public interest nowadays. The other concept that emerged after the autonomous car was the idea of control centers remotely supervising automated traffic. Today, remotely controlled cars are, at least amongst researchers, still of interest. One of these researchers is Walther Wachenfeld. In his Use Cases for Autonomous Driving he and his colleagues explain how in the future cars would not only be controllable by road traffic authorities (police or ambulance) but also by service providers. Whereas control through road traffic authorities is a familiar scenario (e. g. drivers have to follow the police’s command in traffic) the idea of service providers controlling cars is more obscure. The most obscure scenario is maybe when a company pays for transportation costs and dictates the direction of its customer’s autonomous cars for promotional activities (e. g. a real estate company showing people around its properties). In fact, cars are today already remotely controllable by higher instances such as car manufacturers. An example is the car robber being remotely locked into the car he stole (initiated by the police and executed by the manufacturer). In the 1950s literature started dealing with car’s anthropomorphism (attributing human characteristics to non-human objects) in the 1950s. Possibly the weirdest anthropomorphism of that time was described by Isaac Asimov in his short story Sally (Sally is an autonomous car). Whereas this level of human-like treatment of vehicles might sound pathological, it is not even unlikely. I have, for example, seen people waiting a few minutes before turning off their car after a longer driver in order to conserve the motor and people are in general taking good care of their cars (think maintenance, cleaning, protection…). Furthermore, such a “Sally-like treatment” has actually occurred with the introduction of tractors in the Punjab. These tractors were introduced as a replacement for the bullocks used for farming and transportation and very well received by the farmers. Nevertheless, the machines broke down quickly due to overheating. This overheating was caused by farmers covering the machines with blankets to prevent them from freezing. The farmers adopted that practice from their farming activities; the blankets they now used for covering the tractors were previously used by them to cover their bullocks for the very same reason. 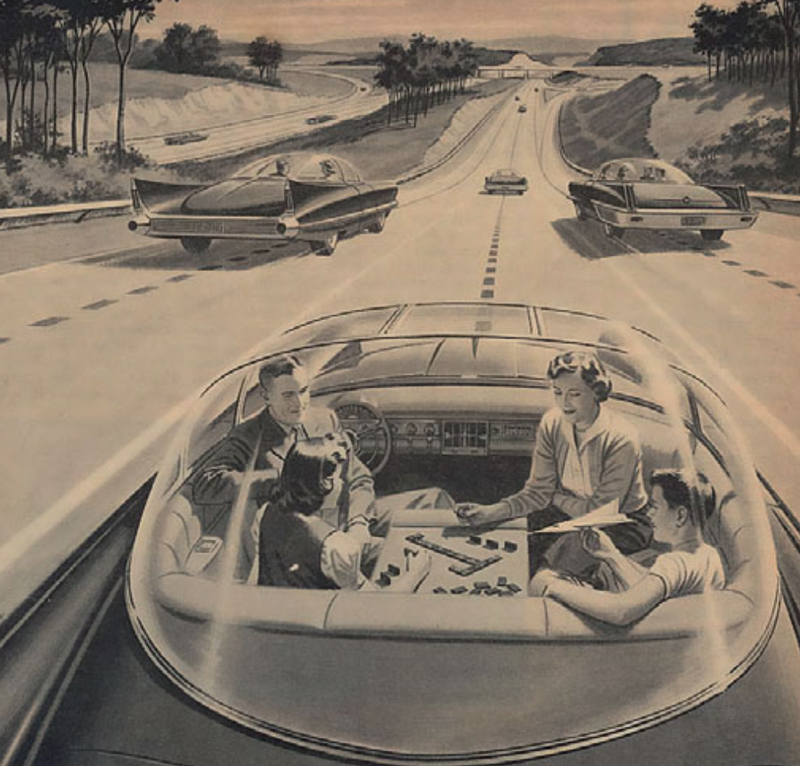 The image below (from 1956) depicts very well the role autonomous cars had back then. They were seen as a second living room, a place where the family comes together. This role did not emerge out of thin air. In the 1950s “family togetherness” was perceived a national ideal. 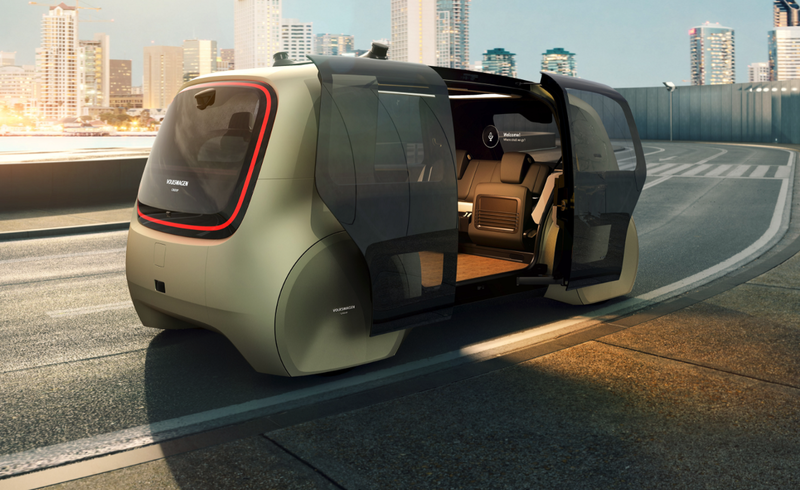 The possibilities of autonomous cars fit perfectly into that ideal. The end of the Korean War marked the beginning of a changing American society. The negative consequences of suburbanization (longer commuting times and thus less “family togetherness”) mass motorization (breakdowns, accidents and traffic jams) called for a change in the transportation system. 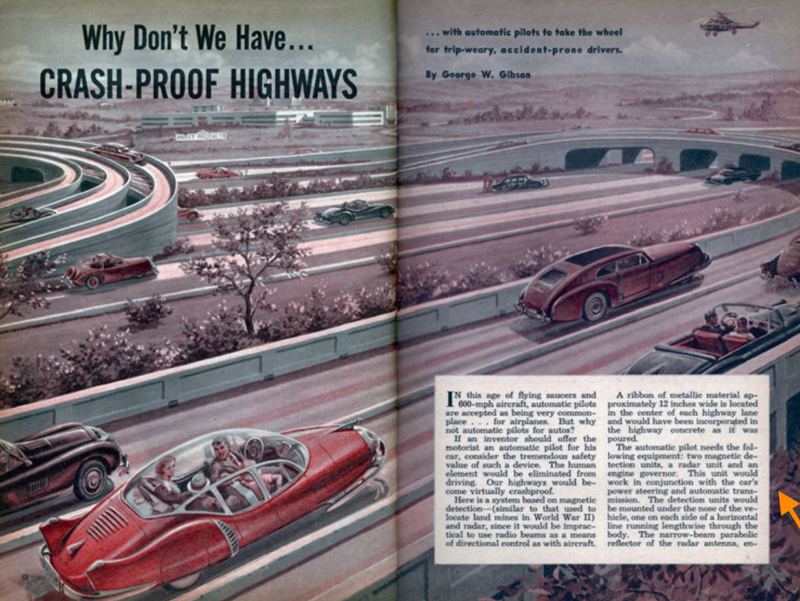 The solution was the highway in which the autonomous car played a central role. The video below demonstrates that dynamic. 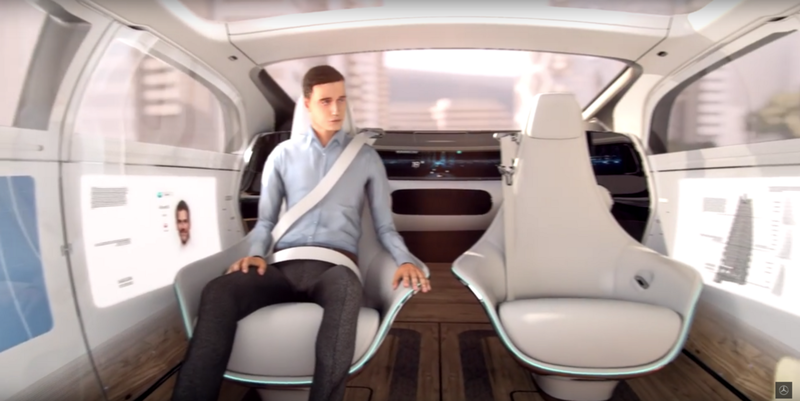 The clip shows, amongst other things, how deeply autonomous cars will be integrated into all aspects of our lives and give us more time for work, family and leisure. 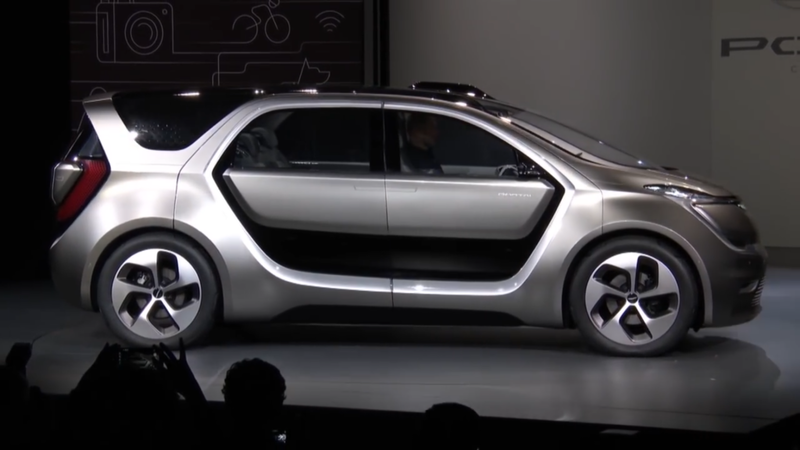 Although we don’t have that future yet, Mercedes has visualized a similar scenario for the city of the future in the video below. Maybe the most interesting difference between these two concepts is that whereas both see the car as a second office, only Disney sees it also as a place for “family togetherness”. Mercedes only shows the togetherness of a couple whose relationship is not detailed (see images below). 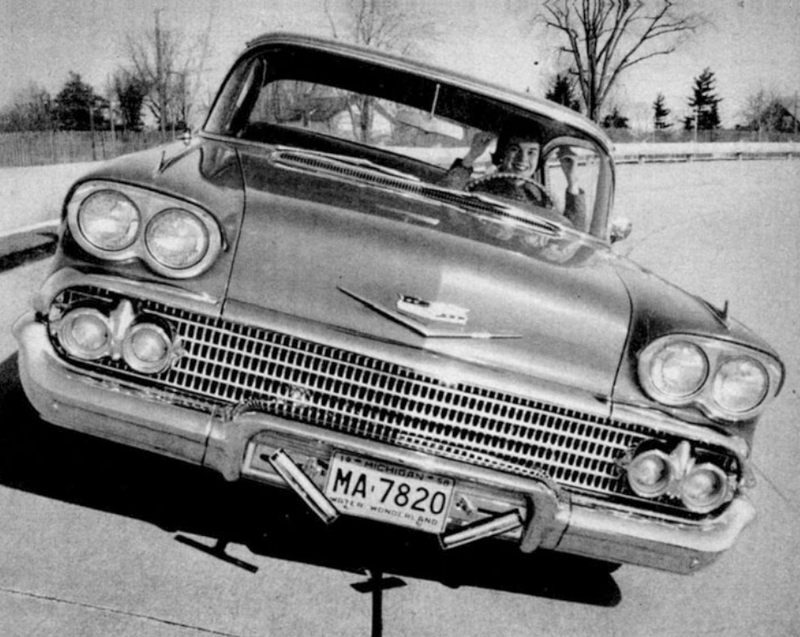 In 1958 the first “automatically guided automobile” drove for one mile on a testing field. That car, a Chevrolet, was attached to wires sunk into the road. The media suggested that people had a very positive attitude towards this technology as shown in the left picture below. 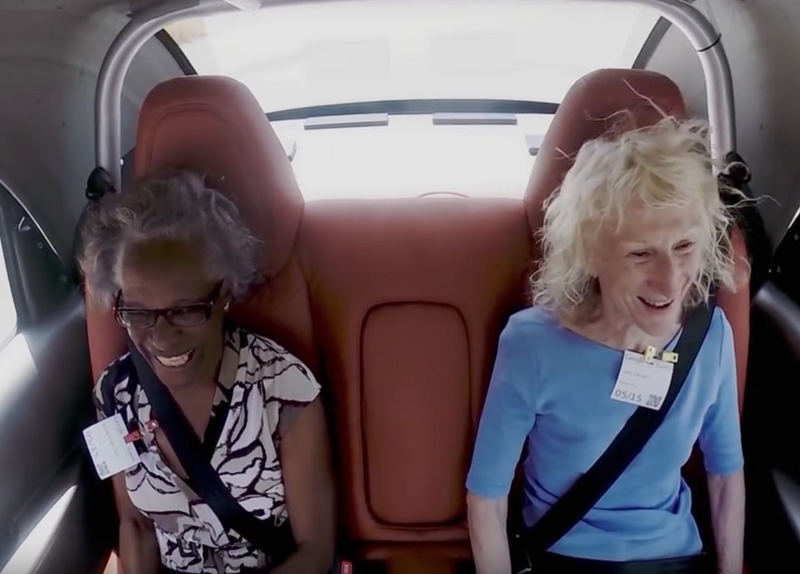 Although not the first demonstration of an autonomous car, Google’s public demonstration of their autonomous cars was apparently received similarly positive by the testers (see right picture below). 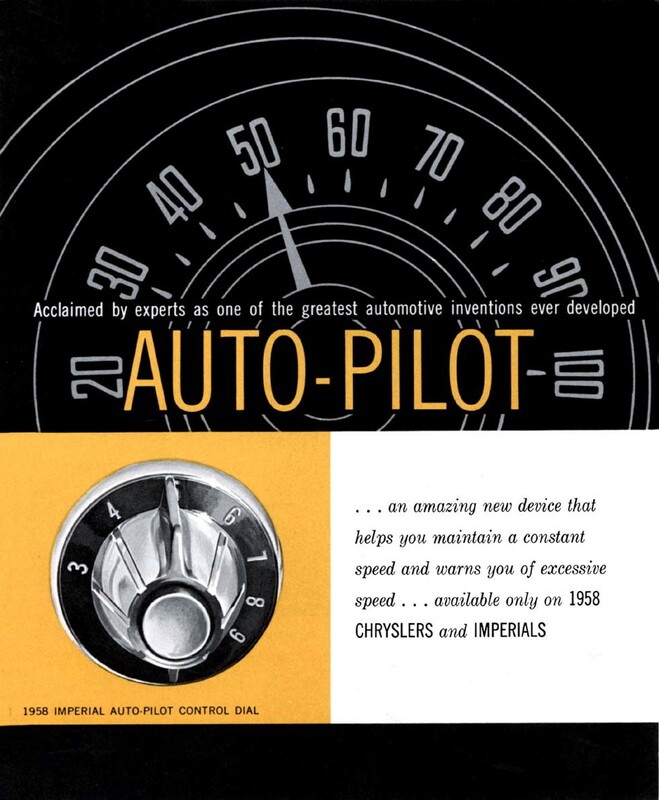 In 1958 Chrysler made with the “AUTO-PILOT” (now known as cruise control) self-driving technology commercially available for the first time. Self-driving technology has come a long way since then, and the new Audi A8 with Level 3 autonomy marks the newest addition to these technological advances. At this point in time (1960s) the autonomous cars’ perception was something „between the weird and the wonderful”. This is reflected by the emergence of the two autonomous car stereotypes in the 70s. 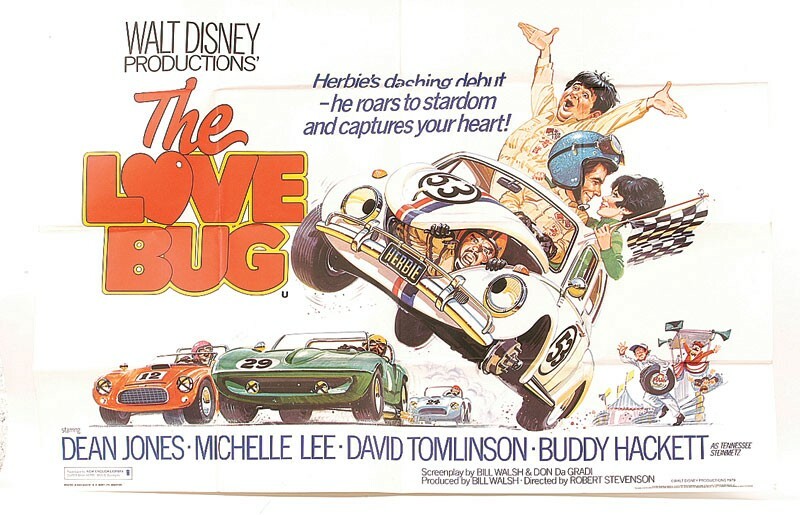 “(Herbie,) The Love Bug” was a representation of the wonderful side. The opposite, a cruel killing machine (although Herbie isn’t so innocent himself/itself either ) was visualized by Steven Spielberg’s “Duel”. In this movie, the autonomous car is incorporated by a human-driven truck whose driver is never seen but almost chases another driver to death. In the 1970s guide wires were dismissed due to lacking feasibility. Furthermore, increasing environmental and safety requirements put the car industry under pressure. The consequence was a shifting focus to autonomous vehicles and a “technologization of car technology” caused by the rise of microelectronics. 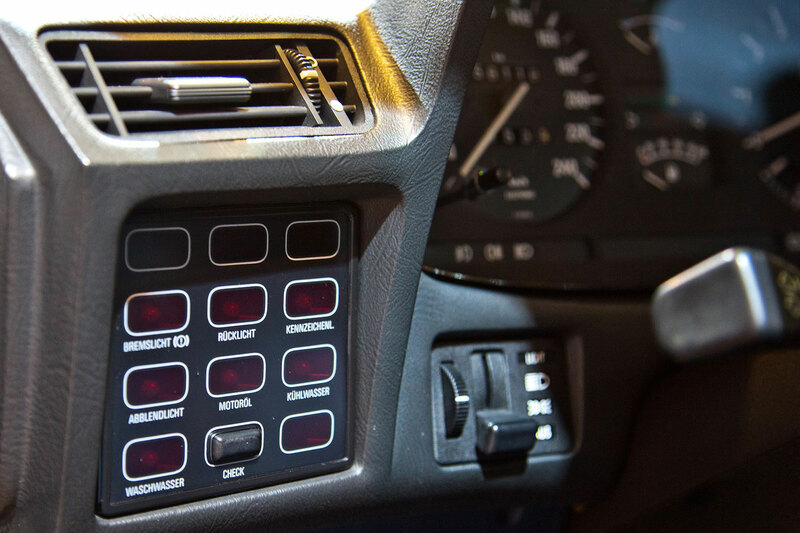 The first examples of that were the ABS in 1978 and BMW’s on-board computer “Check Control” in 1977 (which I think looks pretty dope). 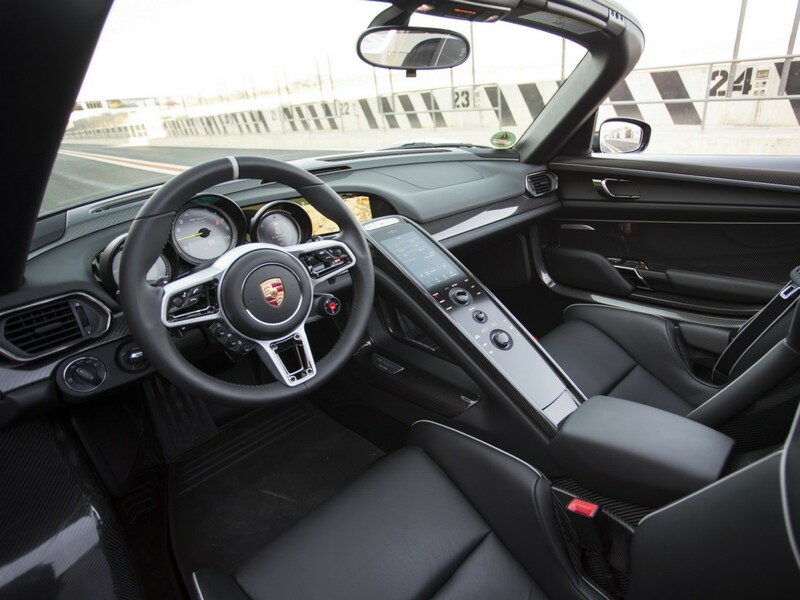 Since then, the car has been continually technologized and slightly morphed into autonomous driving technology. 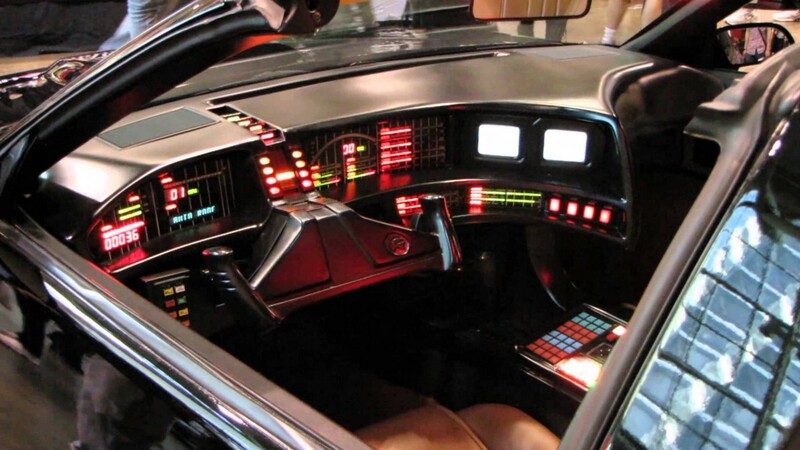 Such highly technologized cars were embodied by KITT. With KITT the public got a highly futuristic car with its own thinking (sometimes overriding the driver’s choices) aimed at protecting the driver and being his pale. Not only are we seeing design similarities in today’s cars (see images below), but also are companies building upon this “pale concept”. 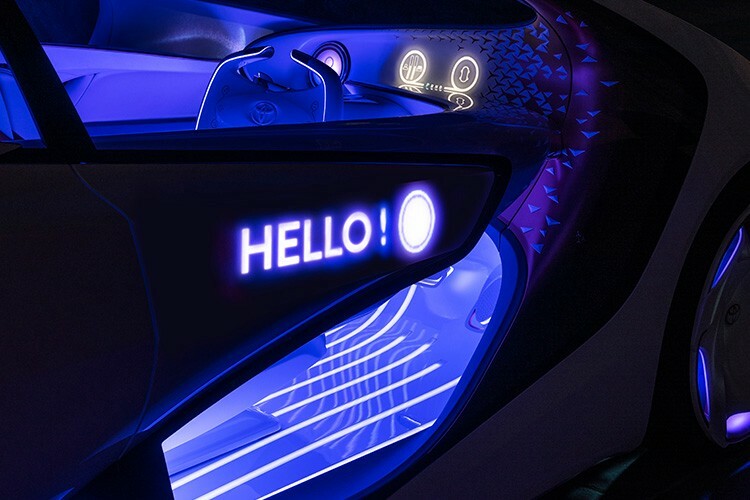 Toyota, for example, is also positioning its concept car “Concept-i” as a pale to the driver. 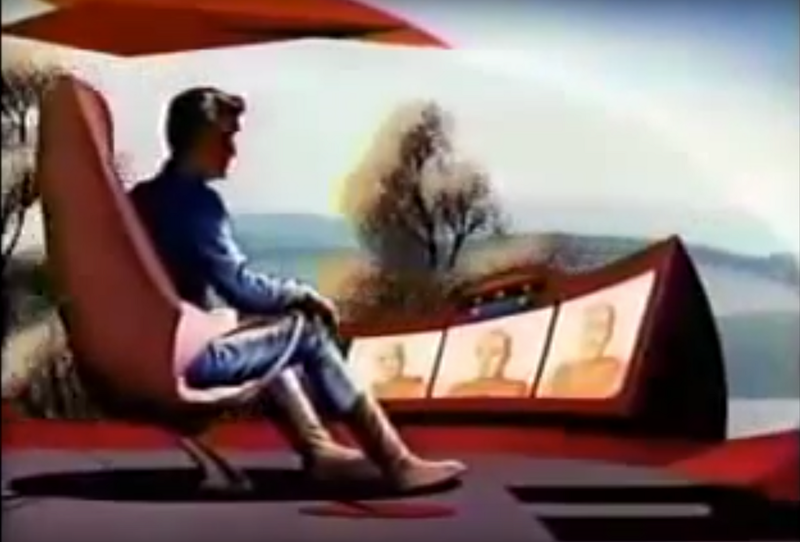 In later movies, such as Minority Report, the autonomous car is depicted as something totalitarian, robbing us from our autonomy by being controlled by the government. In the clip below you can see how the protagonist’s car receives a “Revised destination” from a central instance. The only escape route is by smashing a car’s window and climbing out. As shown above with the example of the car robber being remotely locked into the car he stole some aspects of a totalitarian society are already present today. Today, it seems that people are mostly in favor of autonomous cars. A survey published in Societal and Individual Acceptance of Autonomous Driving (see below) shows that people value a range of aspects about the autonomous car such as flexibility and comfort or safety and reliability but fear its social consequences (e. g. job loss) and are unsure about legal topics regarding it. 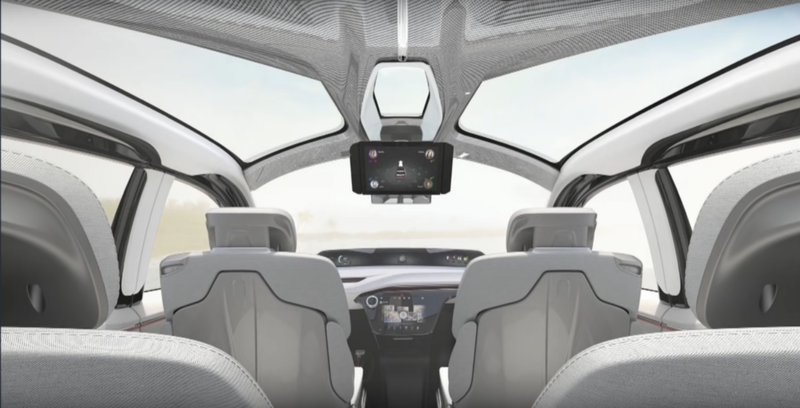 The visions of what autonomous cars will be like in the future have a few things in common but in general differ across car manufacturers. All except Volkswagen have some sort of built-in assistant, but none of them has a trunk (which is weird, even for concepts).